Gordon spent 10 formative years of his childhood in Robertson, attending Robertson Public School and then Moss Vale High. After moving to Sydney for employment, raising a family and holding various corporate jobs for 30+ years, a few of them overseas, Gordon returned to the Wingecarribee Shire about 10 years ago. 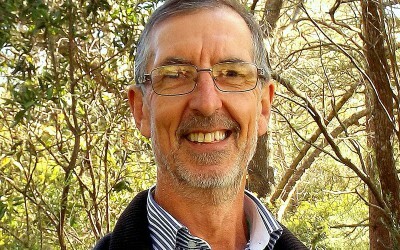 Gordon is passionate about the environment and sustainability, is a regular bushwalker, camper and nature photographer. “When the existing Greens councillor decided to retire, I sought nomination and was duly elected. The previous term council had been often dysfunctional and the community wasn’t well served. I wanted to change that while ensuring the Greens’ values continue to be incorporated into council decision making. The Greens have worked on Council to make the Southern Highlands a better place. Replaced councillor factions with a more issue driven council. Fought for the inclusion of community representation in a range of decisions, including the local Aboriginal Cultural Centre. Participated in the Environment Committee. Any several others of course. Supported community campaigns against inappropriate development proposals. Brought the views of less well represented groups to council. A good place to live by determining appropriate land use. new industry to have relatively small environmental footprint. An effective council that represents the full diversity of the local community.